A romantic city as well as the capital of Austria, Vienna welcomes couples who have an interest in art, architecture, and history as well as a sweet tooth. The following picture pages reveal the must-see sights and romantic charms of Vienna. Vienna is a large city with much to see. To help get your bearings, get a Vienna Pass, which will save you money on admissions. Other romantic ways to explore Vienna together are on a guided walking tour and city cruise, both of which are included in the pass. Built around 1700, the 1,441-room Schönbrunn Palace is a world-renowned example of Baroque architecture. During Maria Theresia's 18th century reign, the Palace reached the apogee of court life and hosted the leading statesmen of Europe. Schönbrunn Palace and park joined the list of UNESCO World Cultural Heritage Sites in 1996. Schönbrunn Zoo, the world's oldest, is on the grounds and certainly worth a stroll. Note: As one of Vienna's most popular historical attractions, the Palace can get quite crowded. Staff herds visitors through quickly. Insider tip: Request an extra ticket to see the less touristed Widow's Palace of the main palace. The formal imperial palace, Hofburg was home to the Emperor of Austria and his court until 1918. Today the Hofburg is the official seat of the Austrian Federal President. It is open to the public (fee) as a museum. Highlights of a visit to the Hofburg include seeing the Imperial Silver Collection, which reveals the opulence of royal banquets; the Sisi Museum, which displays more than more than 300 personal items that belonged to the beautiful Empress Elisabeth; and the 19-room Imperial Apartments, where Emperor Franz Joseph and Empress Elisabeth lived in grandeur. © Austria Advertising, Photographer: Trumler. 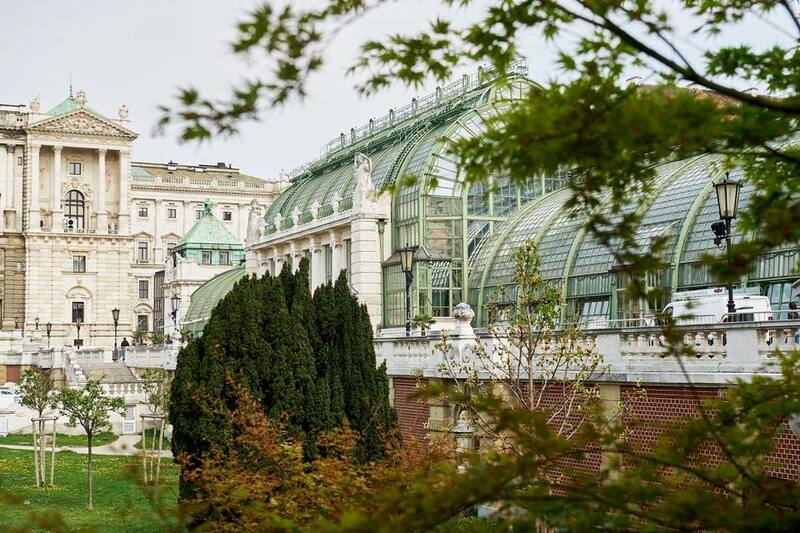 The city is home to several art museums, but if you're fans of Gustav Klimt, there's no better place in the city than Belvedere Palace to check out him and other Art Nouveau, Secessionist and Impressionist painters. This two-story, 18th-century Baroque palace was built as a summer residence for Prince Eugene of Savoy (1663-1736) and the extensive gardens evoke Versailles. Born outside Vienna, Gustav Klimt is Austria's best-known artist. Many of Klimt's most beautiful pictures have an embellished female as their subject. The painting everyone comes to see is Klimt's "The Kiss," with its exquisite gold brushwork. It's on display under glass and there may be a circle of school kids surrounding it, but it's still a great treasure. The same room displays several of Klimt's female portraits including "Judith." An adjacent room holds several paintings by the tortured soul Egon Schiele. Both men died young of venereal disease. Klimt attended the Vienna School of Arts and Crafts and was a founder of the city's Art Nouveau movement. Sinuous and decorative Art Nouveau was a reaction to rigid conservatism. It peaked as a European design movement in the early 20th century. Throughout Vienna, vestiges of Art Nouveau remain. In addition to Art Nouveau buildings, the style flourished in furniture, jewelry, painting, and other decorative arts. In Austria, the movement was also known as Vienna Secession. While most visitors to Wiener Riesenrad, Vienna's giant ferris wheel, willingly share space with strangers, the attraction holds one special cabin that couples can rent for an hour or so. It's decorated with Swarovski crystals, and you can arrange to have a candlelight dinner served or just sip champagne as you privately take in the views of the Imperial City. If the coffeehouse didn't originate in Vienna, the city definitely perfected them. Combine extraordinary pastries (Vienna is home to the famous sacher torte, a chocolate cake with a thin layer of apricot jam), exceptional coffee and a citizenry who appreciates face-to-face contact, the result is fine coffee houses, some more than a century old. Cafe Sperl and the Cafe at Hotel Sacher in the heart of Vienna are two popular destinations for lovers and other caffeine buddies. Then there's Cafe Landtmann, which opened in 1873. It retains its old-world charm with tuxedo-clad waiters gracefully weaving through the burnished wood and brass surroundings. Cafe Landtmann's menu offers 40 different types of coffee preparation (the most popular is melange, a combination of half coffee and half milk froth) and an equal number of pastries to accompany them. In the 1930s, Sigmund Freud was a Cafe Landtmann habitue, where he did more than his share of observing human nature and smoking cigars. The founder of modern psychoanalysis, Freud maintained a home and office nearby at at Berggasse 19 until he was forced to flee the Nazis in 1938. Many original items from the Freud house are on display in the Sigmund Freud Museum. Perhaps most exciting to view is the leather couch that Freud's analysands reclined upon, sharing their dreams and fantasies. As Vienna is a great city for walking and picture taking, you needn't worry about gaining weight as you become part of its coffee house culture and sample its sweets. Take an old-fashioned ride around the city. Destination: Prata Park. Inside is Lusthaus, a romantic restaurant that dates back to the 1780s. The round edifice contains two floors and looks out over the greensward and the city beyond. Order some fresh trout or other local specialty and toast your good fortune with Austrian wine as you feed your lust. Vienna's main Swarovski crystal shop at #24 Kartnerstrasse, Vienna's main shopping street, extends three stories and entices shoppers in with spectacular window displays. It's open from 9 am to 9 pm most days, closes at 6 pm on Saturdays, and like most retail in the city is shuttered on Sundays. Note: Swarovski is headquartered in Innsbruck, Austria. Diamonds and Rubies Oh My! If your taste and budget lean to the real stuff, the house of Kochert has been providing jewels to crowned heads for seven generations. The company's best-known bijoux are stars inspired by a diadem worn by the Empress Elizabeth, known affectionately as Sisi. Kochert continues to create its own designs, and the star motif is available in a variety of styles and iterations from earrings and rings to necklaces and hair jewelry for the modern princess. Voted one of the 50 Best Restaurants in Europe, Steirereck is located along the Ringstrasse in Stadtpark. In contrast to the historic buildings that surround it, this ultra-modern restaurant with floor-to-ceiling windows in its new section serves refined contemporary cuisine. The original structure dates from the 1860s, and both sides can host wedding parties. It's ubiquitous in Vienna, from the gilded State Opera House, where the season extends for 10 months and there's a different opera or ballet every night. And in the afternoon, backstage guided tours are available. To hear the sound of prepubescent angels, attend Sunday mass in the Chapel of the Imperial Palace, where the Vienna Boys Choir adds wings to musical notes (ticket required). The boys perform in the 400-seat Muth Theater as well. © Austria Advertising, G Popp. Winter is the most magical, romantic time to visit Vienna. Imagine yourselves decked out in white tie and tails and a ballgown that sweeps the floor. In the city many balls take place, giving residents and visitors an opportunity to Viennese-waltz the night away. The Vienna State Opera is the venue for the world-renowned Vienna Opera Ball. The annual Carnival-season event takes place the Thursday before Ash Wednesday. Situated in several scenic locations, the Christmas Markets open in mid-November and last until the Christian holiday. A phantasmagoria of color and sound and light and the most delicious smells and tastes plus a wide array of handmade treasures, these markets are particularly romantic at night.